LA Rehearsal - The Best Deal in Town! Music Lessons for your kids? Come down and get our GRAND OPENING hourly rate of only $15 with 3 hours minimum. 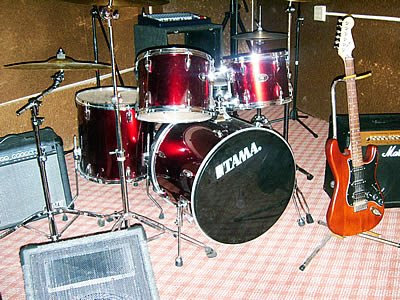 Rehearsal studios are various sizes. Each studio has a PA system, mics and backline. Studio support is also available.